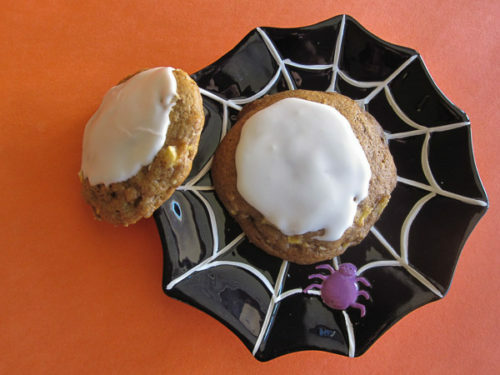 So I wanted to make some cookies and #SundaySupper is having a Halloween party. I didn’t want weird coloured cookies or something kitschy. I know, I save that for every other day. Instead I decided to grow up a bit (just today) and make some cookies. 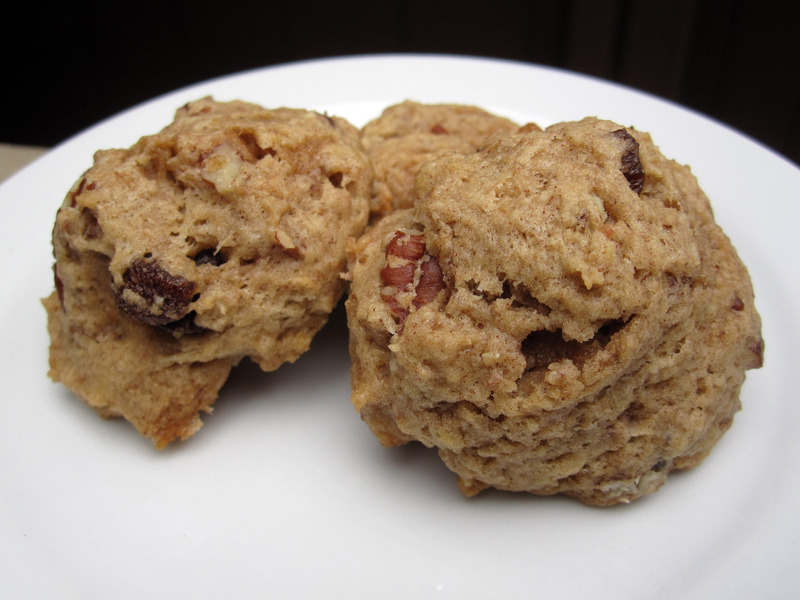 Adult (but booze free) cookies. 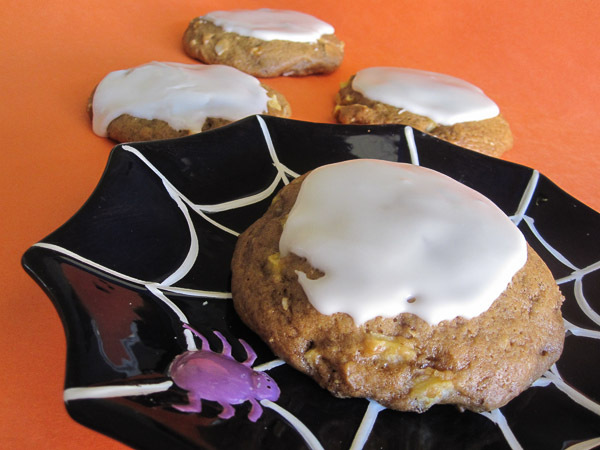 While these soft apple cider cookies are tasty on their own they just sing with a bit of frosting. Apples inside the cookies keep them quite soft, I’d keep them in the fridge if you plan on having them around for a few days because of the moisture from the apples as well as the frosting. 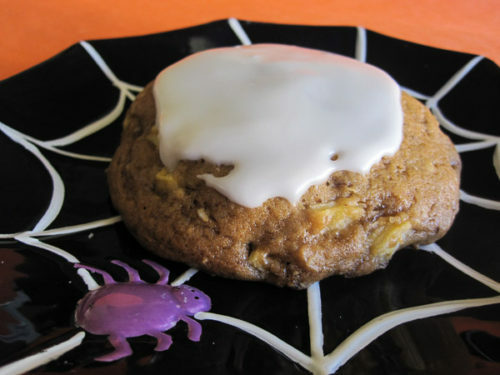 The apple cider is used in both the cookies and the frosting. It just adds that warmth to the whole treat. In large bowl, add the flax seed and water. Let sit for 5 minutes to gel. Add the brown sugar and incorporate. Beat sugar and butter spread on medium speed of electric mixer until creamy. Beat in cider. Blend in flour, cinnamon, baking soda and salt. Stir in apples and almonds. Drop dough by tablespoonfuls onto prepared baking sheets. Remove from sheets & cool on wire racks. Soft, chewy apple cookies? 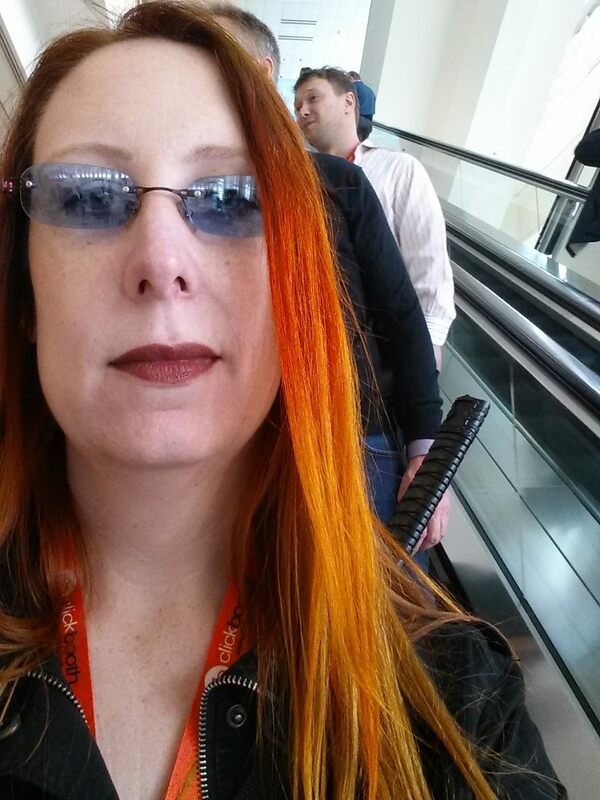 They sound incredible, Shannon! I love the cookies! Nothing like apples and cider together and in a cookie is so awesome! I just love it! I have a giant jug of apple cider in the fridge. I think it’s destined for these cookies. These sound like some amazing cookies! These looks great! Perfect for fall! They remind me of some yummy apple cookies I made last year. Apples and cinnamon are my absolute favourite autumn flavours, so I would adore these! Great recipe! Awesome recipe and I love the plate! Your cookies look to be tasty and guilt-free. Thank you, Shannon! Oh yum!! 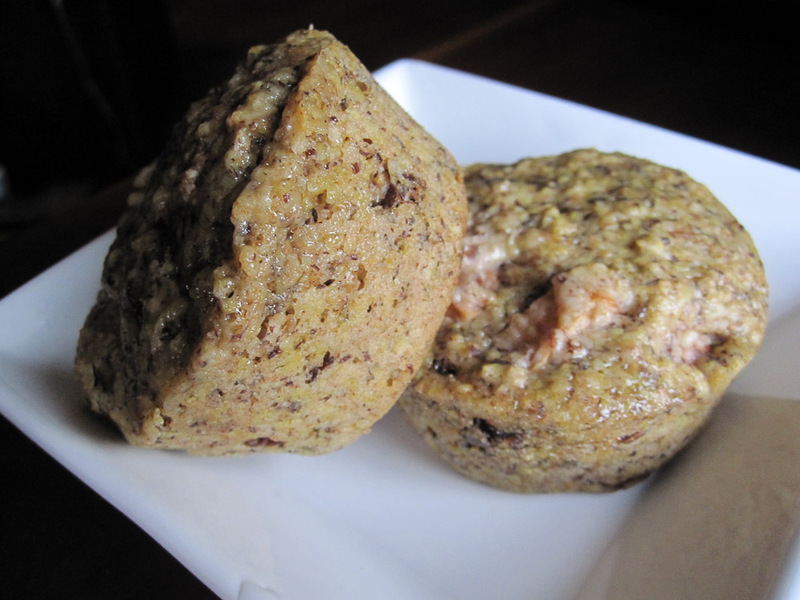 Those look so good, love the flax seeds in them and the cider glaze!! Love the apple cider idea! 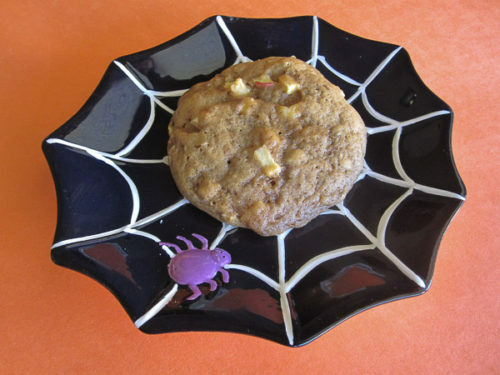 Great cookies and perfect for fall and throughout apple season. Apple cider is too precious to bake with around here but if I could get away with it these would be on my list! Apple Cider Cookies? I really think I might be in love. Making these for a tailgate this weekend! Yesssss! If I don’t have ground flax, should I just omit? Or is there something else I can sub? You can use a single egg if you aren’t vegan or powdered egg replacer if you have any on hand. What a fantastic addition to Halloween festivities! Lovely. These are so freaking awesome! These are so dang cute! I just know I’d love the apple cookies! Thanks for the idea.